A Chicago Transit Authority train pulls into a station in Chicago. Associated Student Government partnered with the Center for Civic Engagement to provide free CTA passes for students who want to go to Chicago to participate in civically-oriented activities. 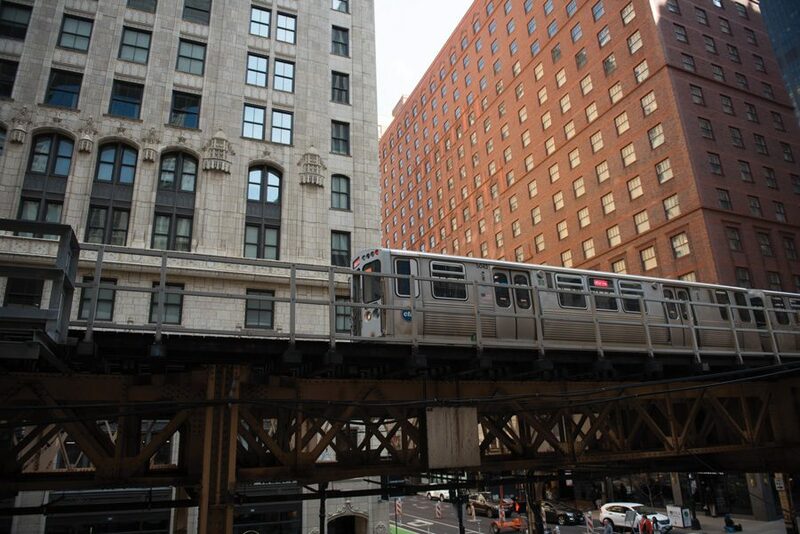 Through a partnership with Associated Student Government, the Center for Civic Engagement started a pilot program to provide free Chicago Transit Authority passes for students participating in civically-oriented activities in Chicago during Spring Quarter. The new Civic CTA Fare Initiative allows students to request free CTA passes to Chicago each week to participate in activities such as service projects, civic-themed speakers, museums or cultural institutions, said Rob Donahue, associate director of the Center for Civic Engagement. Donahue said with the new partnership, there will be up to 100 single-ride passes available each week. According to the center’s website, to request transit assistance, a student must fill out an online form briefly explaining what they want to use the pass for. Each student is only allowed one request per week. After being approved, students may pick up two single-ride tickets at the center, he said. The initiative was started as a way to ease financial burdens and encourage students to take advantage of all the opportunities and resources in Chicago, said Michael Deneroff, a member of ASG’s community relations committee. Medill junior Ross Krasner, ASG vice president for community relations, said last year the community relations committee discussed the idea of providing all students with free CTA U-passes, a pass that provides unlimited CTA rides for full-time students. However, the committee ran into logistical issues due to the passes’ high cost, he said. To counter this, the group launched the partnership with the Center for Civic Engagement to pursue a “creative solution” to provide students with CTA passes on request, he said. “The ideal situation would be everyone has a CTA pass but realistically a program like this is the next best thing,” Krasner said. Giving students passes is part of the center’s Spring into Chicago program, which aims to connect students to Chicago through free visits to local neighborhoods, speaker events, museums and other community-related events, according to the program’s website. The Spring into Chicago program was started last year as part of NU in Chicago, and capitalizes on the warmer weather to encourage more students to visit the city, Donahue said. As part of that campaign, the center also experimented with providing free CTA passes, museum passes and other resources that would allow students to explore Chicago on their own. These efforts were “hugely successful” and the resources would often fill up within minutes of becoming available online, Donahue said. Although the CTA initiative is in its pilot phase this quarter, it is possible that the service may continue year round, Donahue said. Depending on the interest and feedback from this quarter, ASG and the center will continue to improve the process to best serve students, he said.